IMMACULATE 2 Bedroom and 2 Bath Unit on the Ground Floor that Faces the Quiet Inner Courtyard. This Suite has been BEAUTIFULLY UPDATED including NEW Engineered Hardwood Flooring, NEW Bathrooms and Completely OVERHAULED Kitchenwith SOLID SURFACE Countertops, NEW Appliances and Fixtures. 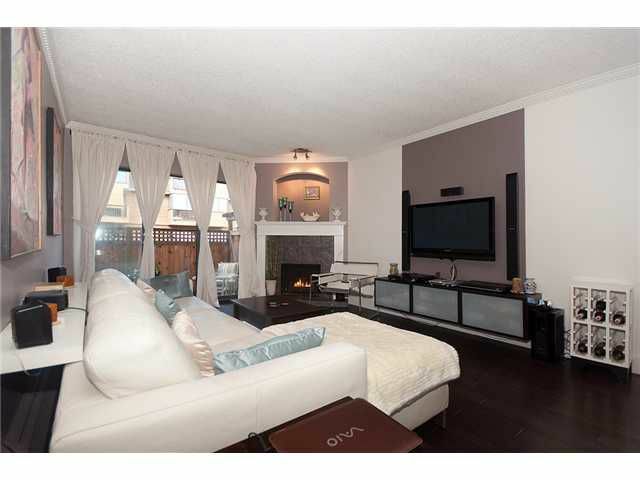 The Living Space also has a COZY Natural Gas Fireplace. The Outdoor Space is Approximately 24' x 10' and is Open to YOUR OWN DESIGN. Another Great Feature is the DIRECT ACCESS to your Unit from the Courtyard giving it that Townhome Feel. Includes Parking and Storage. Heat, Hot Water and Gas INCLUDED IN MAINTENANCE FEES. Call Today! Sorry, No Pets or Rentals Currently Allowed.